Moon Sign is given more importance in Vedic astrology as compared to the sun sign. Moon sign is the sign of the zodiac where the moon was at the time of his or her birth. 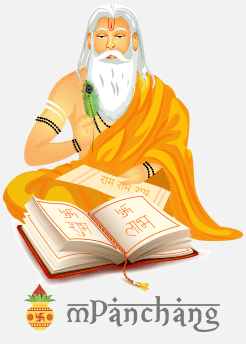 It would be enlightening here to point out that Rashi Phal or Rashifal, which is the the daily prediction of an individual as per the vedic astrology is calculated based on the position of the moon at the time of his or her birth. Your moon sign describes your unconscious and instinctive reactions. It also determines your natural or inborn side. This part is inherited primarily from your mother or reflects in the feminine part of you. It predicts the kind of experience you would want to go through in order to feel emotionally satisfied. Moon Sign Calculator helps you find out the zodiac sign occupied by the Moon at the time of your birth. Moon Sign cannot be calculated only from your date of birth, as you do with your Sun Sign.Sun takes twelve months to travel through the twelve zodiac signs and hence it stays in one zodiac for one month only. Moon on the contrary stays in a sign for around fifty four hours ( two and a half days approximately) and it takes around twenty eight days to complete its travel cycle through the twelve zodiac signs.The laws of the Moon's motion are quite complicated, and an to find out your moon sign you would require expertise in reading special moon motion tables. The conclusion involves a complex algorithm. 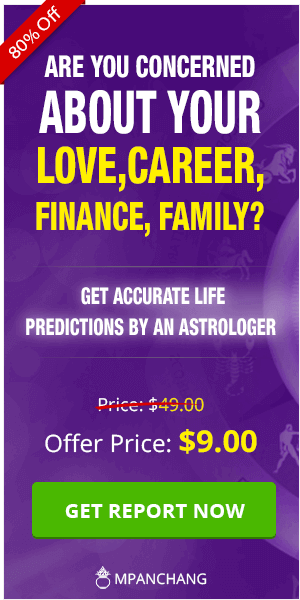 Here the Moon Sign Calculator, has been crafted with the help of experts, both astrologers and programmers, so that you can easily check your moon sign by simply punching in your date of birth. 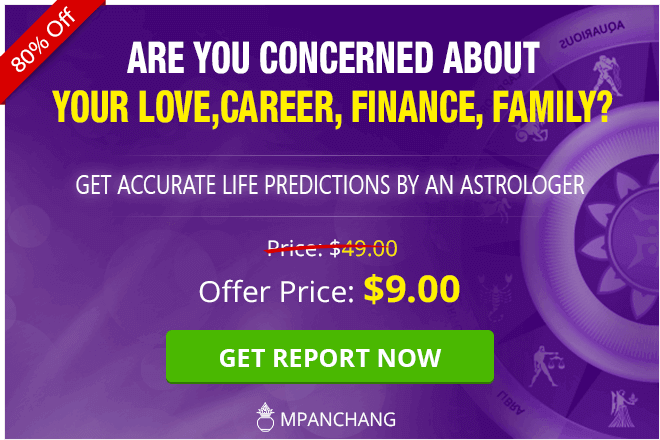 Through mPanchang’s Moon Sign Calculator, you can get every information that you would want to know about your Moon Sign. Why is it important for you to know your Moon Sign? As already stated above, Moon Sign is used to calculate or deduce the Rashifal (Rashiphal) for an individual. Apart from this, Moon sign as per Vedic astrology, plays an important role in determining an individual's behavior. It defines your emotional growth and express the unconscious side of your personality. This is where we fall back for comfort, childhood memories, and peace. This also defines the mode and extent of your anger, hate, jealousy and fear. The Moon Sign depending upon its position at the time of your birth also impacts or determines how our senses would work. For an individual, the Moon sign is mostly different from the sun sign, which explains why people with the same sun sign behave differently or have a different personality altogether. E.g Two Taurus people may not agree to the traits described in a book based on sun signs only. Moon Signs are a more accurate description of a personality. A person will have twice the traits of a zodiac sign, if and only if the sun sign and the moon sign for that individual are the same. This is referred to as a "double" such as a "double Aries." As per the vedic astrology the Moon also defines or governs body parts such as the heart, bladder, stomach, brain, bowels and the left eye. It is also believed to have an influence over glands and fluids of your body. When the Sun sign and Moon Sign complement each other, then an individual has the capability to slide swiftly through tough times. On the contrary when they are incompatible an individual will have difficulties in coping up with situations and would be unclear of his or her goals. Check your Moon Sign for Free through mPanchang’s Moon Sign Calculator.